One of my professors in high school told me one time that one possible way to define something is to define the things that it is not. So, while we're working on this junokata tihng, the question popped into my mind... What would be the opposite of the principle of ju as expressed in junkata? 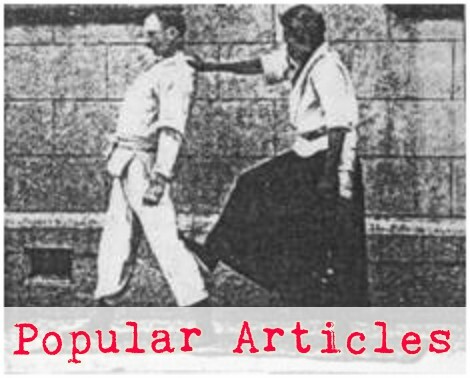 Well, it just so happens that the old timey Kodokan guys had a kata intended to express just that opposite. It was called gonokata (the forms of strength or the forms of hardness). 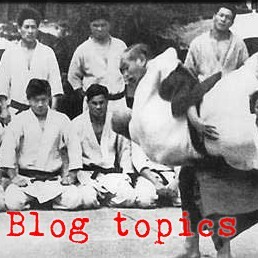 For years after the WWII occupation, gonokata was not practiced or performed, and it was considered to be a lost kata of judo. Then, all of a sudden, some guys in Italy got hold of one of the old masters that still remembered the exercise and they researched it and put it back together. Here is a video of this interesting gonokata, which you might say consists of sets of isometric strength exercises, each set followed by an interesting way of turning the opponent's strength to your advantage. As I understand it, these two kata - junokata and gonokata were intended to together represent the core of a balanced, principled Kodokan martial art. What do you think makes gonokata different from junokata? What is the difference between the techniques selected for each kata? What principles or ideas are expressed the same or differently between these two kata? How would you characterize this opposite of junokata?